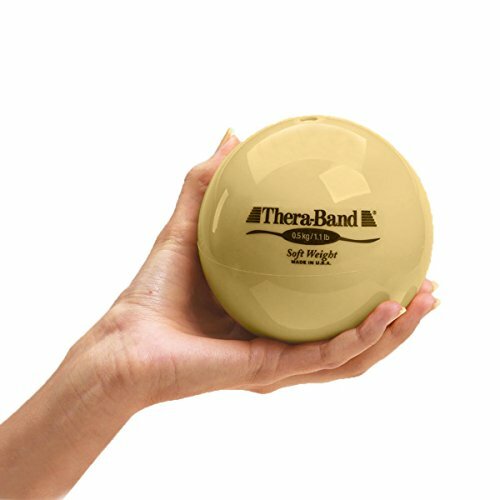 THERA-BAND Soft Weights were developed as a soft, easy grip weight system. The uniform 4.5" diameter and pliable surface provides easy hold for one hand or two hand activities. The Soft Weights can be used singly or in pairs instead of dumbells for strengthening, balance training, mobilization and functional grip strength development. Use in conjunction with a rebounder for plyometrics. Each weight includes a professional instruction manual. Soft Weight - Tan, 1.1 lbs. Each weight includes a professional instruction manual.